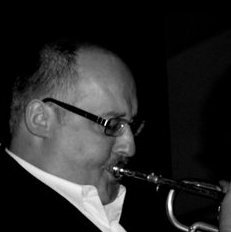 In 1976 Tony joined the Band of the Irish Guards rising to the rank of Sergeant before leaving in 1994 to pursue a freelance career. Whilst still serving in the Army he had begun ‘depping’ on West End Shows, and has since worked on productions of Starlight Express, Jolson, Guys ‘n’ Dolls, Greace, Fame, the Rat Pack, and Sinatra. 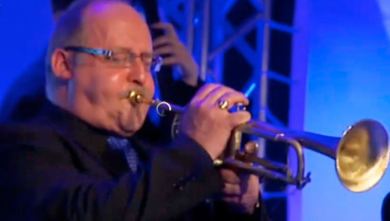 Tony Dixon is a professional freelance trumpet player and is available for engagements. Introducing “PowerBand” - playing the exciting music of Tower of Power, creating their own kind of soul music. 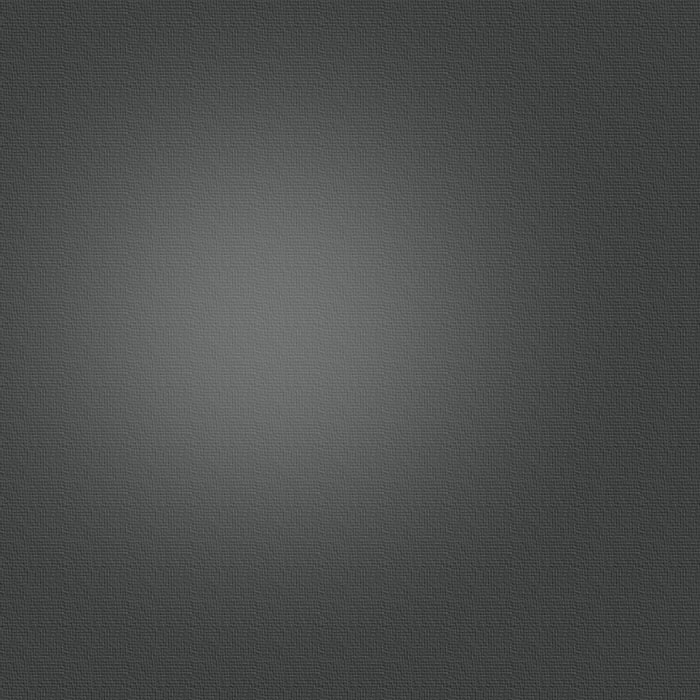 PowerBand deliver their unique brand of music to their audience. Need an exciting - powerhouse band with sizzling brass and funky grooves? - contact PowerBand! PowerBand’s rhythm section lays down a groove like no other band. The band’s horn driven sound is unique, and the way they approach everything, from writing and arranging to mixing and performing, is totally their own. Combine all of that with an outstanding lead vocalist and you have one of the most dynamic groups of musicians to ever hit the stage. Find out how to book PowerBand - email us. 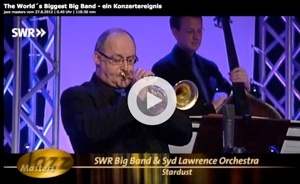 Watch Tony Dixon play lead trumpet in the Biggest Big Band in the World!